Many Australians spent Anzac Day morning last Thursday standing in solemn remembrance at dawn services around the country. The twilight sun rays penetrating the horizon, the cool breeze of dawn stroking eager faces as eloquent prose pulled at the strings of their emotions. Others spent the morning, in less impressive settings, trying to propel contemplation of another sort. President of the Australian Historical Association, Professor Marilyn Lake, in an Anzac morning interview with Tim Lester, articulated her critique of how Anzac Day commemorations have become over the top, excessively politicised and reflective of ahistorical understanding – a thesis she, along with Henry Reynolds and others, published in 2010 in their provocatively titled What’s wrong with Anzac? Such critique of Anzac Day is not new or uncommon. It follows a long tradition of criticism by academics, politicians and commentators alike. Open critique from Muslims, however, is a first. 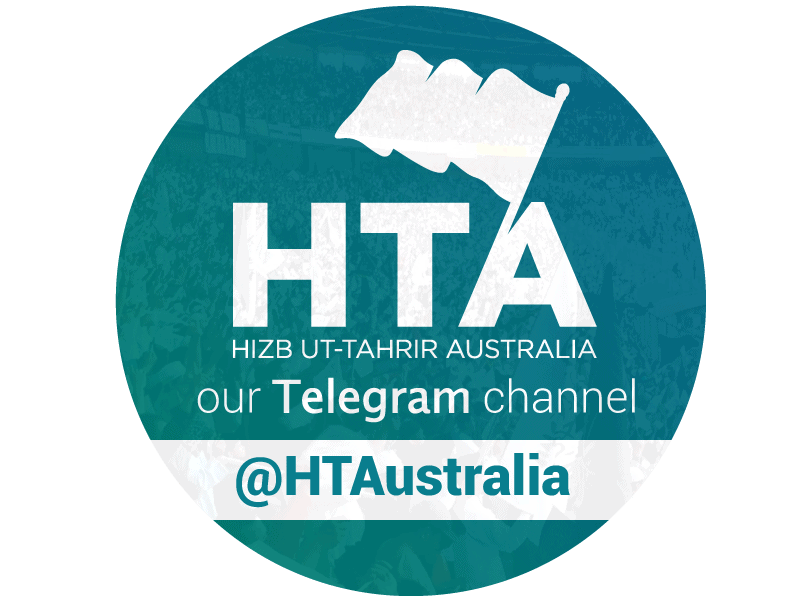 Hizb ut-Tahrir issued a media release last week critiquing the concept and practice of Anzac Day, inviting a re-think about the ‘Anzac legend’, its history and continued political abuse. The gist of the message was that (i) the real legacy of the Anzac tradition is Australian involvement in the unjust invasions of Iraq and Afghanistan and the sacrifice of Australian troops for the imperial agendas of foreign powers, ii) the ‘Anzac legend’ is more mythology than history, used by politicians to garner nationalist sentiment, iii) from the Muslim perspective, the Gallipoli campaign represents an aggression by Allied troops against the legitimate Islamic authority of the time, the Ottoman Caliphate, hence there is nothing for Muslims to celebrate, and iv) the state should stop forcing Muslim students in Islamic schools to partake in Anzac commemorational activities because this is an imposition of values. A statement directed to the Muslim community in particular advising Muslims not to partake in Anzac Day commemorations, based on the Islamic injunctions related to the matter, was also issued. The response to this critique in media and public commentary were “howls of outrage”. Retorts were quick yet hollow, and very much exceptional – not in the ‘overwhelming positive’ sense but in the ‘unusually extraordinary’ sense. Starting with the hollow, Tony Abbott’s well thought-out response was that Hizb ut-Tahrir has “dodgy views”. Beyond that he asserted that schools should teach students about Anzac Day – a disingenuous conflation between teaching students about the ANZACs – in history class for instance – and forcing them to commemorate Anzac Day. The twittersphere saw a flurry of people express indignation at the lack of integration Muslims were displaying by questioning Australian traditions and values, and give the ever-ready intellectually-rigorous advice that if Muslims don’t like it in Australia the way things are they should leave. Some were generous enough to offer to cheer Muslims on as they flew “back home”. Barney Zwartz from the Age forwarded his usual ‘Hizb ut-Tahrir is a fringe group’ line pretending it qualifies as an argument. Jason Morrison on 2UE’s Drive program was “disgusted” by what he read, in particular the mention of Anzac soldiers brawling, getting drunk and rioting, and contracting venereal diseases due to time spent in local brothels in Egypt. When I pointed out that this was historical fact documented by Australian historians and mentioned on a government website he had no response. NSW Premier Barry O’Farrell condemned the release as being “contemptible” reminding everyone that, “Anzac Day is a day we commemorate those who fought for the freedoms we enjoy in Australia, including the right to practice the religion of our choice”, whilst, in the same breath, condemning Muslims for expressing views in practice of their religion. This is as to the hollowness of the responses – leaving aside all the abusive hate mail, sparingly littered with foul language, accusing us, ironically, of spreading hate. As to the exceptional nature of the response, what Hizb ut-Tahrir highlighted about the Anzac legend is not new. All the points have previously been made by others. Famous Australian historian Manning Clark in his A History of Australia documents evidence of various indiscretions by the Anzac soldiers. Robert Manne, Dale Blair and others have forwarded the thesis that the Anzac legend is more mythology than history. Others have critiqued the increasing display of jingoistic nationalist sentiment and claims about the Anzac spirit and Australia’s ‘national character’. These examples, along with aforementioned critique, are but a sample. Yet when the critique is by non-Muslim white folk the discussion and debate, though sharp and passionate, remains on topic about the best way to treat the Anzac issue. When the critique is from Muslims the matter becomes one of integration, multiculturism, and “like it or leave”. Further, when the sanctities of Muslims’ are desecrated by insulting cartoons and films we’re lectured about freedom of expression and how we overreact and should learn to just move on. Yet when Muslims merely critique – not insult – Australian tradition we’re lectured about integration. Where are the defenders of liberalism championing our right to freedom of expression now? The very few who did sincerely engage our argument accepted much of what we highlighted – the ills of nationalism, the mythology of the Anzac legend, the abuse of it by politicians for more unjust wars – but maintained that that is not what Anzac Day is about. Rather, on their view, it is about celebrating the sacrifice of the soldiers and reflecting on the horrors of war. This is a reasonable perspective, and some in their personal capacity may well do this, but this is not the national character of the increasingly ‘religious’ and politicised commemoration, nor is it the take propagated by the state, which is pumping millions – $108 million will be spent over five years from 2014 to mark the Anzac centenary – into fashioning the narrative it seeks. A narrative that is, quite simply, false. Australian involvement in WWI was not motivated by fighting for freedom or defending Australia – there was no threat to Australia at all. It was motivated by showing allegiance to the British Empire. Just as recent wars in Iraq and Afghanistan were motivated by the alliance with the US. These too are falsely propagated as wars for freedom and democracy, whilst they are nothing more than American wars fought for American economic and political interests. As for remembering the horrors of war, if Australian policymakers contemplated over the horrors of war every year in April, they would not be waging wars with the ease and frequency they do – only to then include these wars in an ever-growing list of military adventures to commemorate. For them, it seems to be the nonsensical case of it’s all so terrible, we can’t wait to do it again. And herein lies the essential point: one can either learn from past mistakes and work for a better future or dress up past mistakes, with the requisite historical surgery and blind nationalist sentiment, as heroic acts worthy of being immortalised – and forced on all those who live in one’s nation (tribe?) – and keep repeating those mistakes. If this point got lost in the hysterical howls of outrage, it should only now come across with greater force.